Lock in a great price for Flower Island Resort – rated 9.4 by recent guests! Providing free WiFi, Flower Island Resort is located in Casian. Among the various facilities of this property are barbecue facilities and a garden. The property has a shared lounge. All guest rooms at the resort come with a seating area. All rooms are equipped with a private bathroom, while some feature a sea view. Flower Island Resort has a terrace. You can play ping pong at the accommodation. El Nido is 26 miles from Flower Island Resort. This property also has one of the top-rated locations in Casian! Guests are happier about it compared to other properties in the area. This property is also rated for the best value in Casian! Guests are getting more for their money when compared to other properties in this city. When would you like to stay at Flower Island Resort? This bungalow has a seating area and sea view. This triple room has a balcony, seating area and hot tub. This bungalow features a hot tub, view and seating area. House Rules Flower Island Resort takes special requests – add in the next step! Flower Island Resort accepts these cards and reserves the right to temporarily hold an amount prior to arrival. Please inform Flower Island Resort of your expected arrival time in advance. You can use the Special Requests box when booking, or contact the property directly using the contact details in your confirmation. 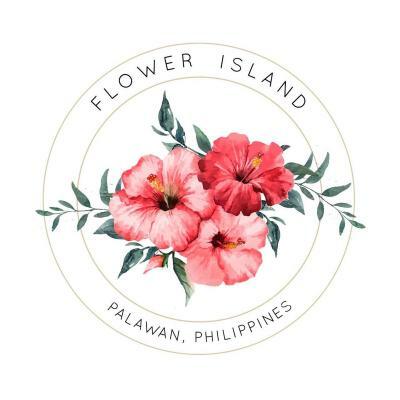 Flower Island was one of our best stays in our Palawan adventure. The island is picture perfect, and the rooms are spacious and clean. We had the best relaxing time staying here and we would love to come back again some time. I'm really stretching to find anything at all, so if I had to find something, it would be that the hot water heaters in the rooms are solar powered (which is fantastic), so on the two days it rained, we didn't have hot water. But even that wasn't an actual negative. Where to start? We could not have had a more amazing stay at Flower Island. The staff were phenomenal - so helpful and friendly. We were there with our two kids (2 & 8), and the staff went above and beyond to make sure that they were happy and having fun. Plus, the chef was always willing to pinch hit some scrambled eggs or some other dish tailored for my picky toddler. The location is ideal, the surroundings are breathtakingly beautiful - turquoise water with healthy, gorgeous reefs, ideal for snorkelling, kayaking, swimming, paddle boarding... Plus, the food delicious, the room was perfectly sufficient, and the massage therapists skilful. What more could you ask for? Also, don't miss the pearl farm excursion - it's a must-do.